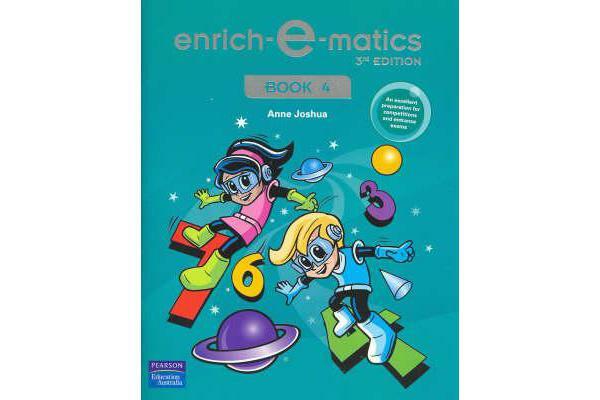 Enrich-e-matics Book 4 provides Year 4 students with excellent preparation for competitions and entrance exams. Students are presented with highlighted explanations, worked examples and hundreds of problems to solve. All questions are graded according to their complexity and are grouped according to which mathematical strand it belongs to: Number and Patterns & Algebra, Chance & Data, Measurement, Space, and Working Mathematically. Problems are asked in a multiple-choice question format, and students are given standardised test-style shaded bubbles to answer with. 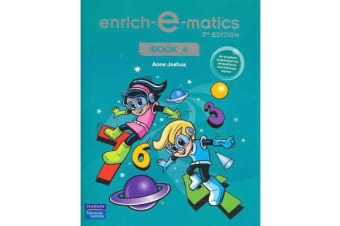 Fully worked answers to the problems can be found in a removable section in the centre of this book.